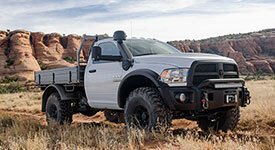 AEV’s Splash Guards for 2010-18 HD & 2009-18 1500 Ram Trucks are designed to comply with state and local regulations regarding tire coverage as well as offer an increased level of protection from stones, mud and road debris. 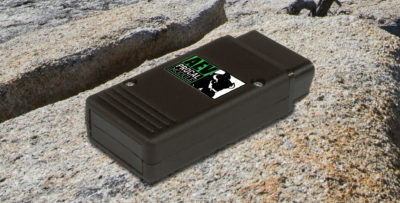 These heavy duty, flexible rubber Splash Guards are vehicle specific and compatible with Ram trucks equipped with the factory fender flares as well as trucks that are outfitted with AEV’s Highmark Fender Flare Kit. Please note: Only the Rear Splash Guards feature an AEV Bison Logo. These Splash Guards are not designed for use with aftermarket fender flares. The Rear Splash Guards for HighMark Flares may require exhaust modification.